+ Meet Port Harcourt finest online personalities. 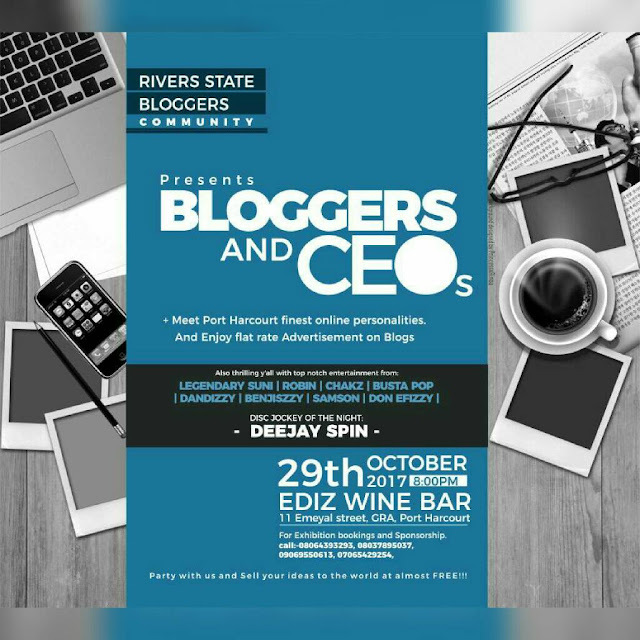 + Book Exhibition Stands now and get free hype from over 30 bloggers/social media influencers. Party with us and Sell your ideas to the world at almost FREE!!! 2) Select any blog of your choice from our list, to fill up the number of the Package Slots you're to subscribe to, in other to publicise, promote, advertise, and hype your materials/content. NOTE: ALL ADs START FROM THE DAY OF PAYMENT TILL DECEMBER 30TH 2017. T/C APPLIES.